Senior Software Developer - Grupul Austriac EBNER, Grupul EBNER - Aplica pe eJobs! If you have at least 5 years of development experience and you want to play an active role in shaping the future, are innovative and want to work with state-of-the-art software technologies, then we can offer you a unique opportunity to tackle challenging digitalization projects in our Digital Product Development Team. Motto: Create cool software using best-in-class technologies and contribute to a growing and marketable portfolio of digital products and services. 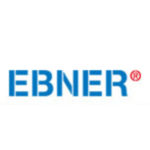 EBNER Industrieofenbau GmbH is the global market leader in heat treatment facilities and specialized in research, development, fabrication, installation and commissioning of furnaces and process control systems for the steel, aluminium and copper-base metals industry. To face the challenges of Industry 4.0, Big Data, mobile services etc. we have founded the Digicon World Solutions in Brasov, which is our new competence centre for software innovations and product developments.